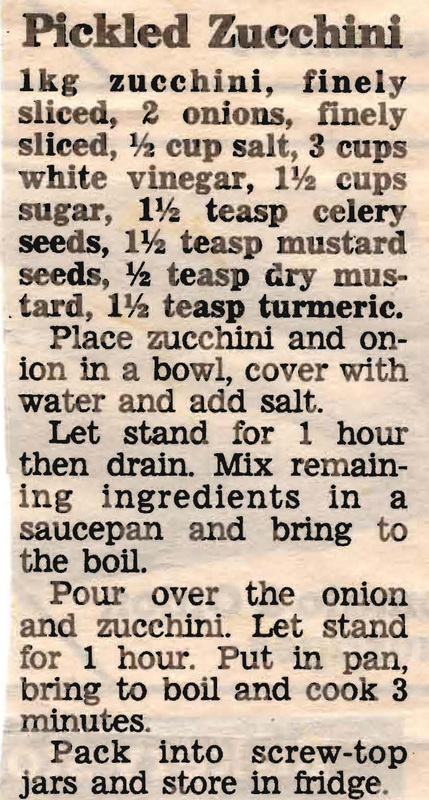 This recipe is for those who have a thriving vegetable patch and at crop of zucchinis about to ripen – every summer back in the 70s that was certainly the case. Although I’m not sure it is now. Back then there were plenty of slice and cake recipes to use them up and pickling them to serve with salads was another idea. If you haven’t got the homegrown variety this recipe only uses a kilogram so it wouldn’t be too expensive to buy them. 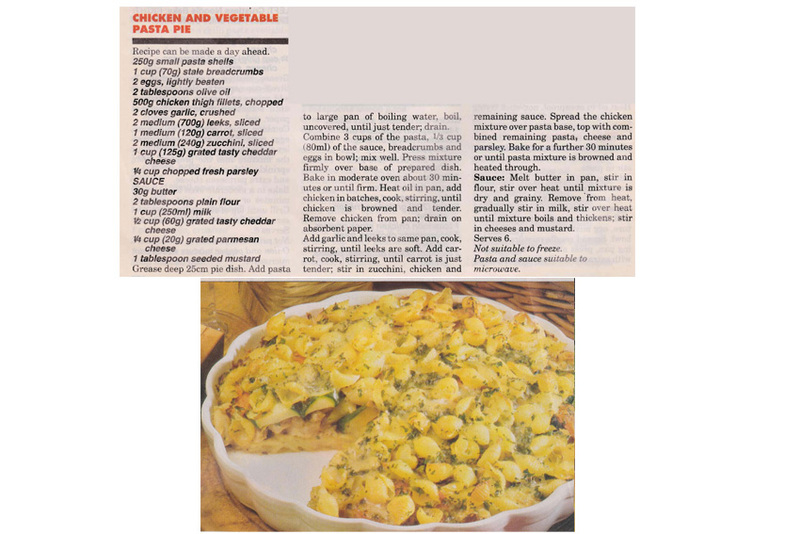 In this recipe cooked pasta with a cheese and mustard sauce is pressed into a pie dish and baked to form a crust. The filling of chicken, leek, carrot and zucchini is added and then topped with more of the pasta mix. A quite different sort of chicken and vegetable pie.